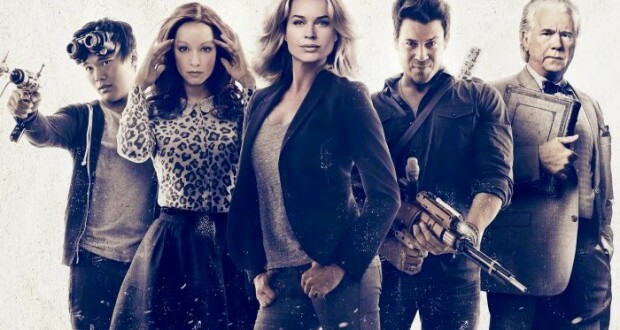 Home / Reviews / The Librarians: Should you be watching? 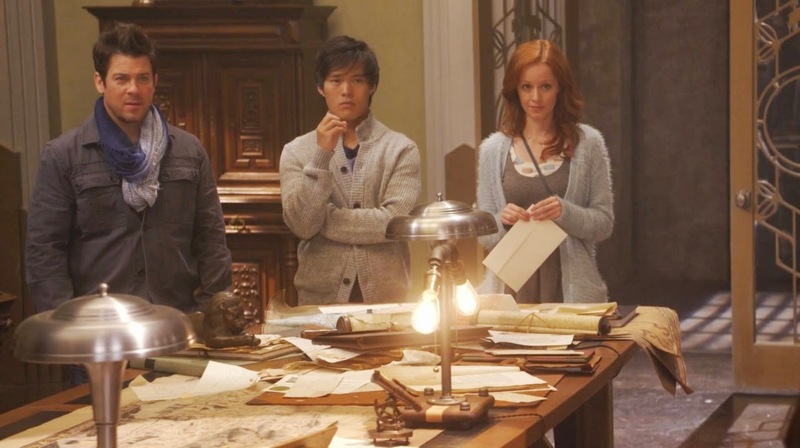 The Librarians: Should you be watching? Back in 2004, Noah Wyle starred in the first of three made for TV movies based on a mysterious librarian who protected magical artefacts. While never terribly original, the franchise was full of family fun, general silliness, and grand adventures. The second film in the series, The Librarian: Return to King Solomon’s Mines, even won a Saturn Award for Best Presentation on Television in 2007. In 2014 it was announced that TNT had ordered a 10-episode run of a new television series based on the franchise. Instead of focusing on the character of Flynn, Wyle’s character that starred in the TV films, he would play a supporting character for a set of new librarians. 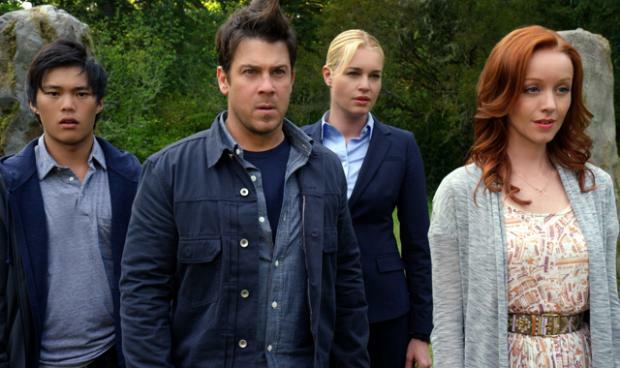 The series stars Rebecca Romijn, Christian Kane, Lindy Booth, John Kim, and John Larroquette and premiered in December 2014. While the premise of morphing a traditionally perceived fuddy duddy style role of librarian with intrepid adventurer and protector of the world is hardly an original one, it is fun. It combines the nerdy, bibliophile loves of many supernatural and mythology fans with the excitement of Indiana Jones for a show that could never be described as dull. Though the series is fun, it is far too ridiculous for more serious-minded fans. Don’t get me wrong, I love silly as much as the next person, but The Librarians is often just a bit too silly for me to stomach. Someone is killing potential librarians. Current librarian Flynn (Noah Wyle), with the help of the newest member of the Library, Eve Baird (Rebecca Romijn), as his protector and muscle, must track down the surviving potential candidates before it is too late. Only three candidates remain: Oil worker and secret genius Jacob Stone (Christian Kane), mathematician with a brain tumour Cassanda Cillian (Lindy Booth), and thief and tech expert Ezekial Jones (John Kim). While protecting the three ingénues, they each prove themselves to be useful members of the library and soon find themselves nominated to continue protecting the world from potential rogue magic artefacts. When the evil cult, the Serpent Brotherhood, penetrate the inner sanctum of the Library, the ties that hold the library to the physical realm are cut. The team of librarians remaining on Earth are forced to work out of a branch office with limited resources. There, they encounter Jenkins (John Larroquette) who becomes both their mentor and eccentric, short-tempered boss. Whenever Noah Wyle makes an appearance the show receives an immediate boon. None of the main characters have half of the charisma that Wyle possesses in his little finger. While the three new librarians have their moments, their pigeonholed personalities don’t have enough oomph to command the screen for any given moment. Together they do work, especially the dynamic that develops between Cassandra and Stone as the show progresses. Ezekial’s Australian accent (Kim is a Melbourne boy and unsurprisingly a Neighbours veteran) jars and it is never mentioned directly (at least if you’re going to use your native Aussie accent in a US show, reference the fact that the character is not an American!). They make a fun ensemble, but I think it would prove difficult for the writers to focus an entire episode on any one of the characters to give them more depth, as the viewer would likely get tired of them individually before the episode had run its course. Rebecca Romijn as the straight man doesn’t work – she doesn’t pull it off. Instead of being the tough, logical one, she instead comes off as a close-minded, unimaginative, petty, sarcastic, buzz-kill. She is easily the most unlikable aspect of the series. She delivers lines like a drill sergeant, assuming that by delivering them in a monotonous drone she will come across as an authority figure that demands respect. I found myself wishing for her to be as infrequently on screen as John Larroquette – he would have made for a far more interesting companion on the librarian’s escapades than party pooper Colonel Eve Baird. The baddies, like is so often the case in shows like this, are woefully underdeveloped. I suppose the series runners assume that calling them a kind of magical anarchic cult is enough to give them purpose, but I would rather have had some actual character development for each of them in turn. Why did they join the brotherhood? Is Lamia really devoted to the cause or is there something else going on? What drove her to it? Perhaps I’m expecting too much from something that ostensibly is simply a fun action adventure series, but I still like a little more than ‘because they’re evil’ as a baddies’ motivation. Also, why call a baddie ‘Lamia’ and not make reference to the namesake? Where are the children she is torturing and devouring? I keep waiting for it. 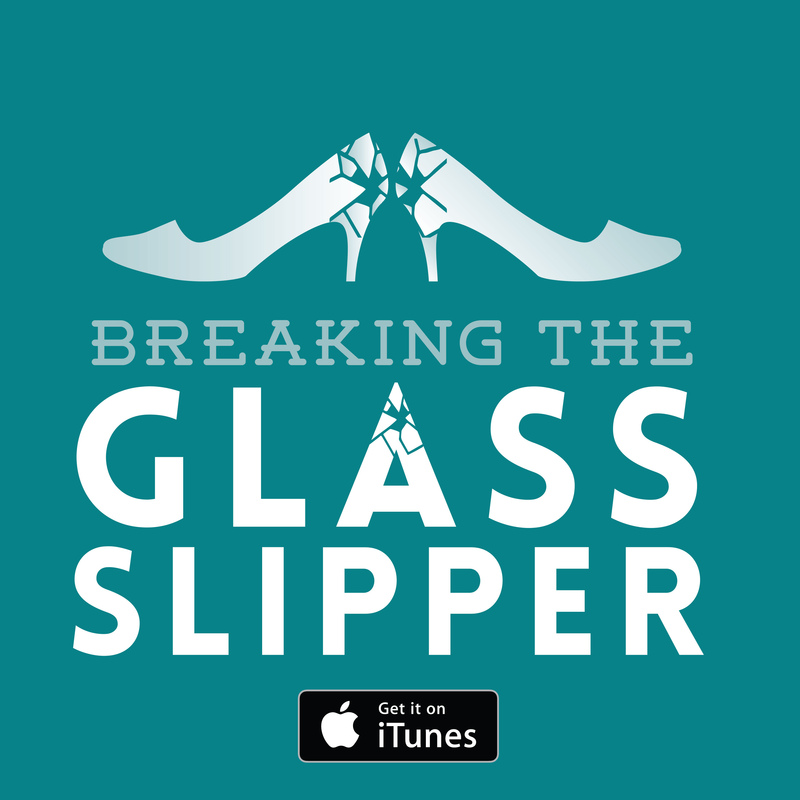 The series takes a fairly standard structure for its episodes, with a new artifact or magical problem of the week that the librarians have to deal with. The season arc has more to do with them trying to gain access to the main Library again. While this works well enough as a format, it does leave quite a lot of agency out of the characters within the story. Sure, these guys are all newbies, learning the ropes, but it would be nice to see them taking some initiative of their own, asking more questions and perhaps trying to pre-empt the bad guys (as Flynn does). Also, it is understandable that a TV show focuses on the fun, action-packed elements of the characters’ roles, it would be nice to see them working on their skills a little more. For instance, Stone is supposedly a lover of art and languages, so when does he work on his knowledge, write papers, attend art galleries? And why doesn’t Cassandra, supposed mathematician, enjoy doing puzzles in her spare time? Ezekial’s love for thievery could also potentially manifest itself more. Instead, the show gives them these caricatured personalities and then under-uses them. Verdict: While the show is fun and rarely dull, it hasn’t got enough pizazz to keep viewers truly hooked. For the time being, TNT has not confirmed whether they are ordering a second season or not. Next: Foxcatcher: Coach is the father. Coach is a mentor.